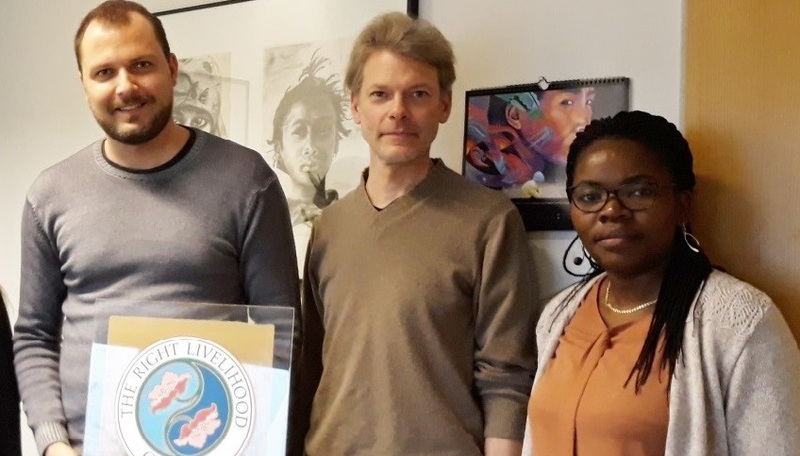 On January 14, 2019, the RLC Bonn hosted a work meeting with representatives from the Université Evangélique en Afrique (UEA). Denis Mukwege, who received the Right Livelihood Award in 2013 and was awarded the Nobel Peace Prize last year, is the Vice Dean of the Faculty of Medicine and Health of the UEA. During the meeting, Dr. Germaine Furaha (Mukwege`s Professorship-UEA Manager) , Rudolf Heinrichs-Drinshaus (international cooperation manager at UEA) , Dr. Till Stellmacher (RLC Bonn coordinator), and Tiemo Pokraka (RLC Global Secretariat coordinator) and discussed possibilities of cooperation between UEA and RLC.